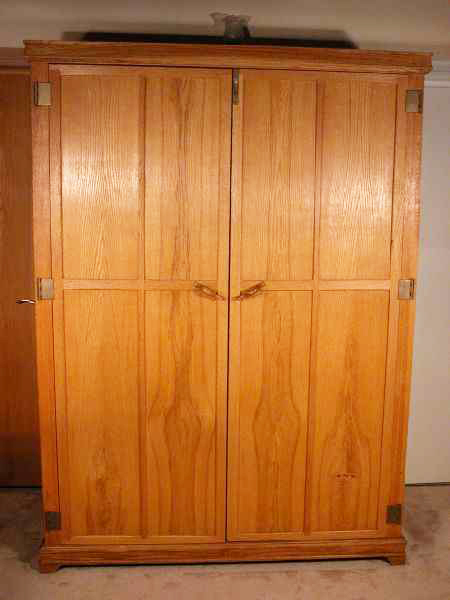 Custom Wardrobe or Custom Armoire. We build a variety of sizes. Call about a custom unit today! An Oak and Ash custom armoire / wardrobe with interior clothing bar and full chest of drawers.